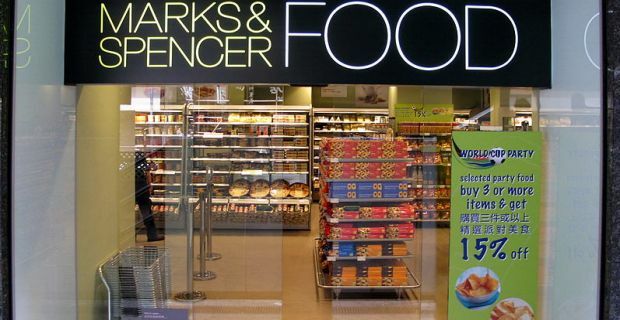 Marks and Spencer are one of the high street’s premier stores but does that make them one of the highest paying retailers in the UK? The Marks and Spencer pay scale we’ve seen suggests that they are one of the best paying retailers with average wages in excess of 6% more than other retailers. These guys pay 6% above the market average. Similar employers like Tesco and Sainsbury’s typically pay 2% less than the market so M&S are a great retailer to work for if remuneration if your top consideration. The hourly rate for a customer service assistant ranges from £6.25 to £7.75. When you consider that the national average for this type of work across all types of shops is £6.93 per hour, M&S pay a very high wage for mass market retailers. Visual merchandisers get anywhere between £6.81 and £8.79. Retail managers can earn between £7.79 and £14.58. These two positions have varying wages because experience is vitally important. The area of the country in which the store’s located also plays a major part in determining the wage. A job with M&S doesn’t only offer financial rewards. You can also expect 20% discount on all in-store and online purchases and 28 days’ statutory holiday per year. The firm’s Defined Contribution pension plan, where employees contribute 3% of your pay while M&S contribute 6%, is also very attractive. Life Assurance is also part of the package when you sign up with Marks and Spencer, so you’re covered by a policy worth twice your annual pensionable wage. They offer the salary sacrifice schemes you would expect like childcare vouchers and cycle to work but the sharesave scheme is unique. With this you can share in the future success of the firm by saving between £5 and £250 each month which can then be used to buy shares at a discount of 20%.